Today I want to meet you with Hayley. Hayley is extraordinary jewelry projects hunter and owner of Beadworthy.com . On her site you can find inspiring jewelry pieces and ideas. 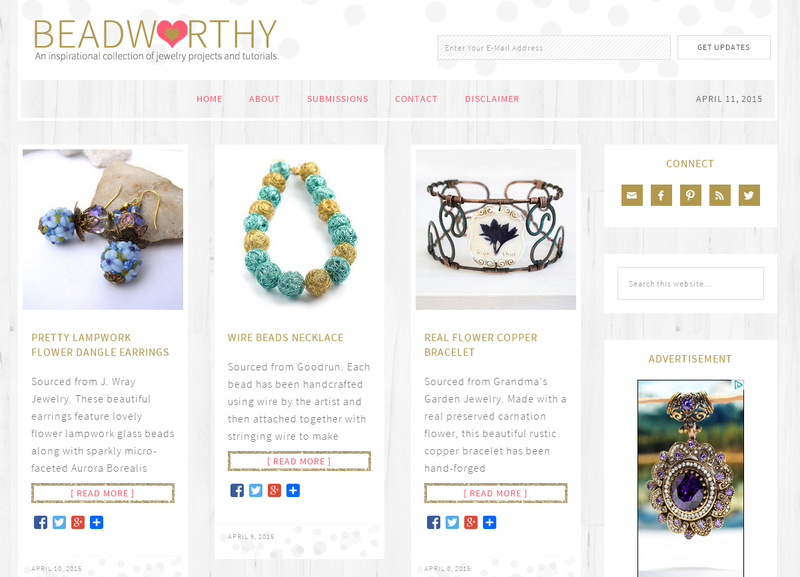 Also if you're a jewelry maker you can submit you project on her site on submissions page. I want to thank Hayley for including my bracelet to her amazing collection! 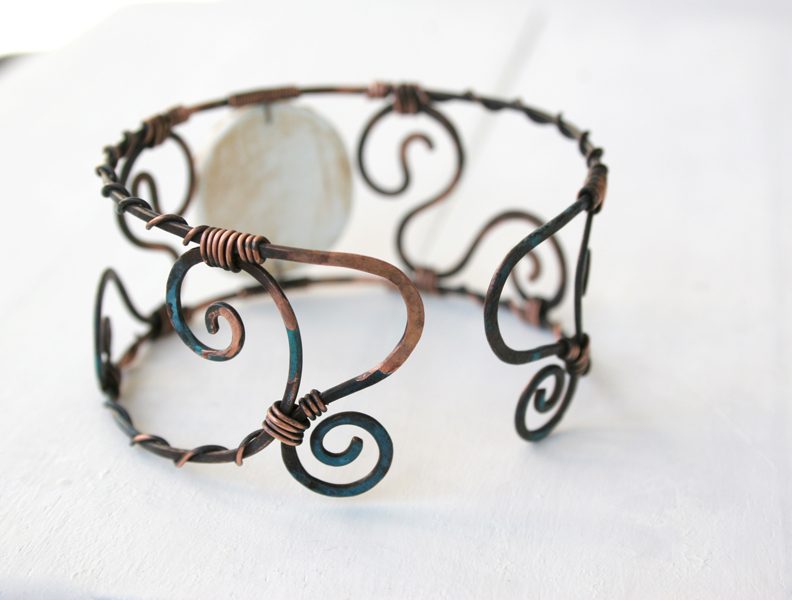 Hand forged and wrapped copper bracelet with a real carnation flower. 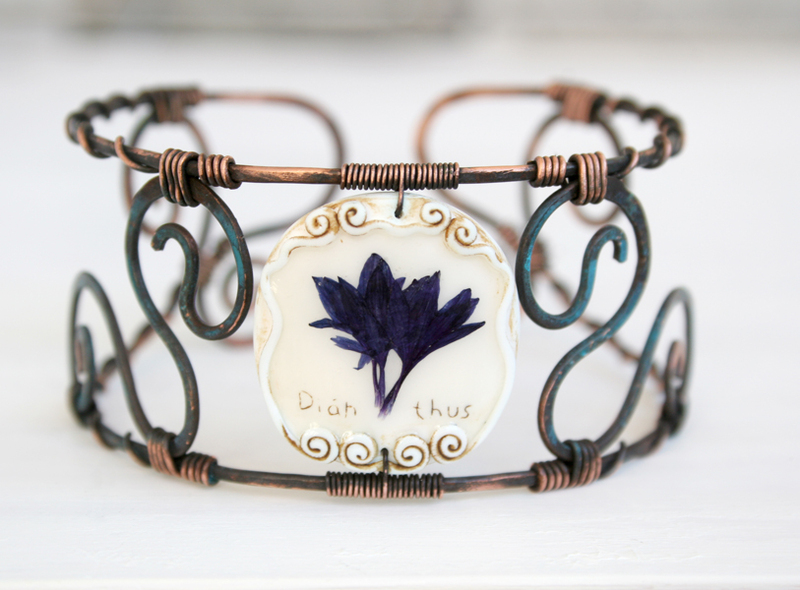 The bracelet is open and it is easily adjustable. The bracelet size fits for most people. (maximum perimeter 25cm / 10"; minimum perimeter 19cm / 7"). 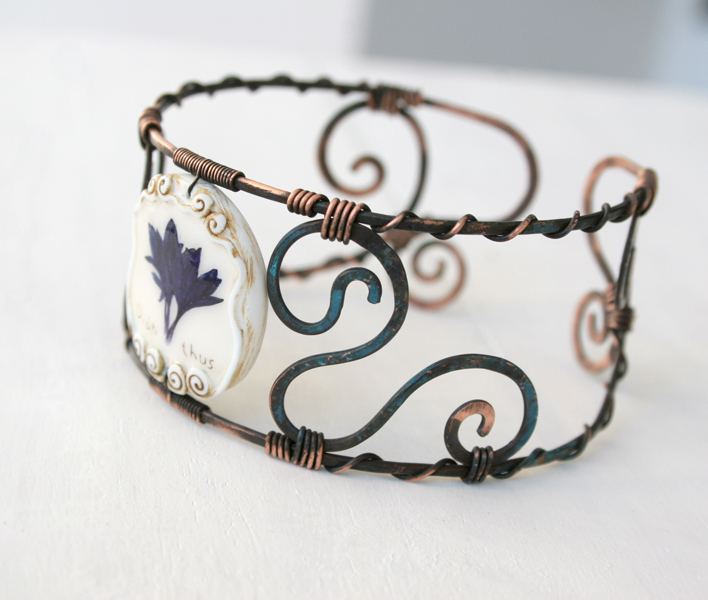 You can wear it on wrist or arm of your choice.